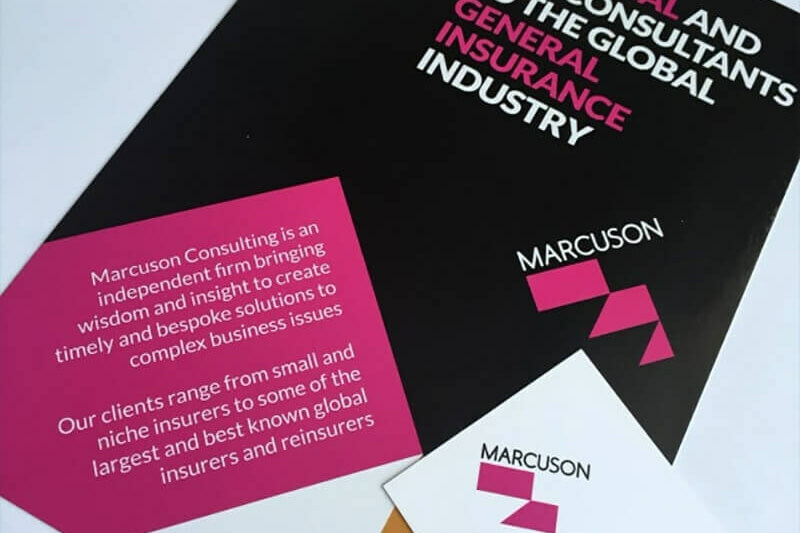 Marcuson, a firm of actuarial and risk consultants to the global general insurance industry, wanted to update their branding, website and marketing materials. 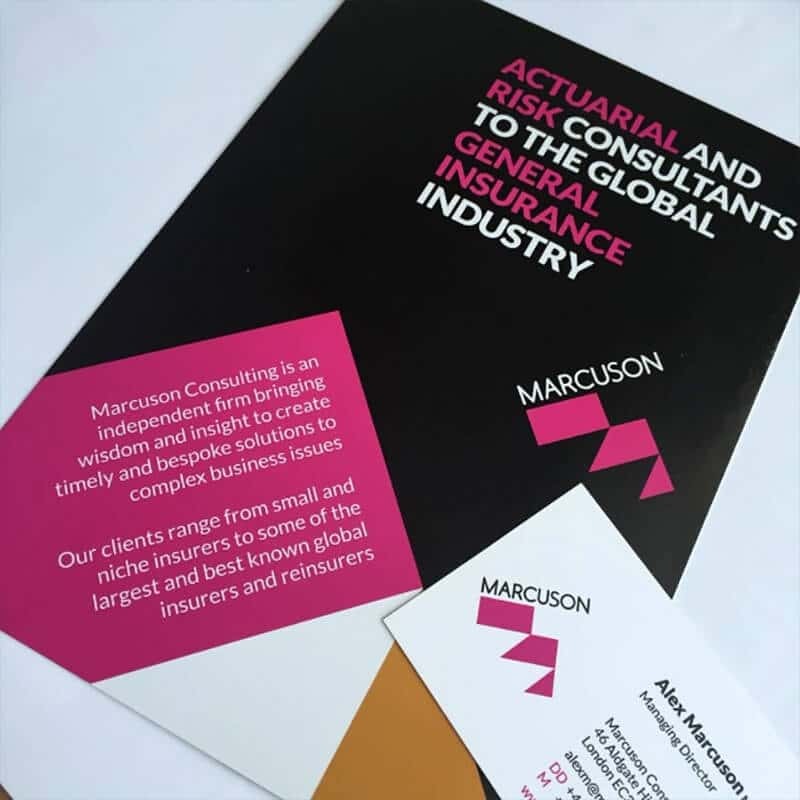 We worked closely with the team to understand and clarify their messaging and positioning, and designed a new logo, reflecting their fresh, independent approach to consulting in a rapidly consolidating sector. 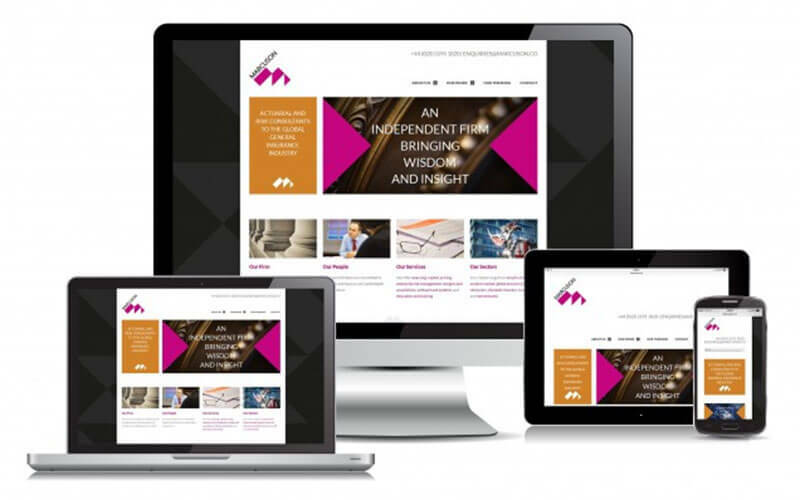 We also created a responsive website (easily viewable on mobiles, tablets and desktops) clearly communicating their depth of insight, clarity of thought, breadth of services and expertise. 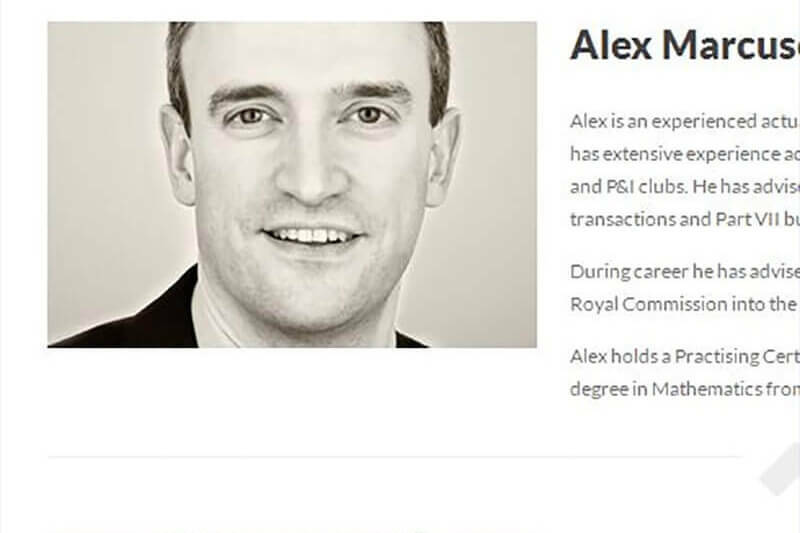 We selected and briefed the photography, interviewed staff for their bios, and wrote the copy. 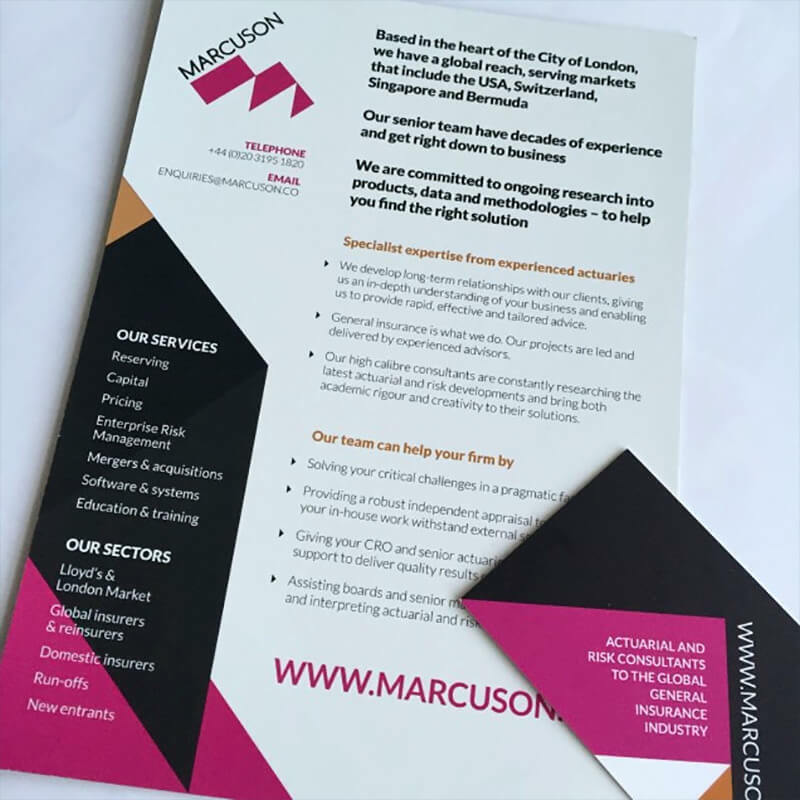 To support the rebrand, we also designed a suite of marketing materials; client brochure, business cards, and digital templates to ensure that the strong brand look and feel was communicated to clients across all communications. 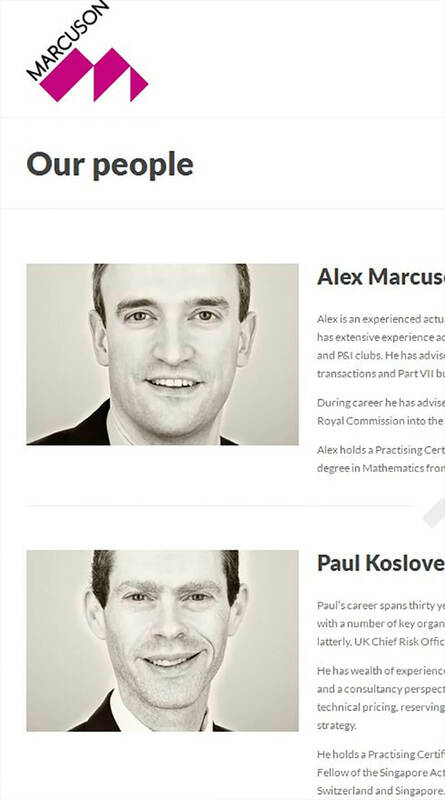 Sasha and the Business Narrative team have enabled our brand and marketing to take on a professional edge. 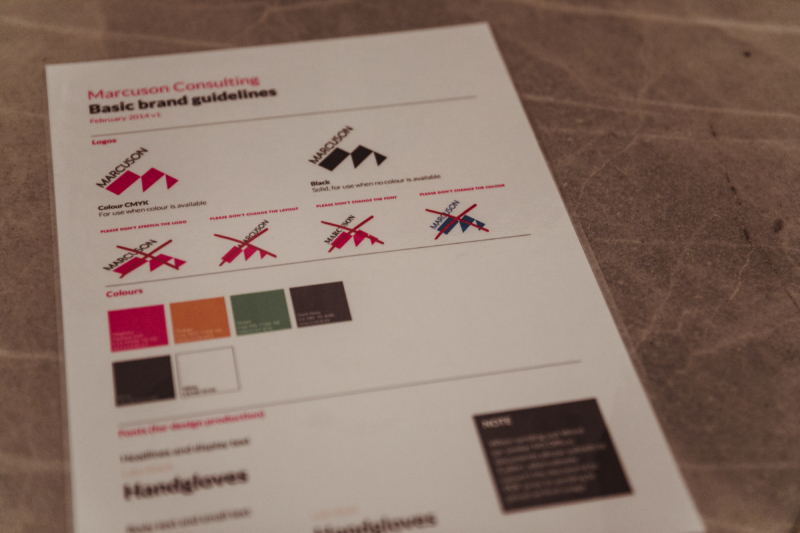 We benefited not just from the creativity and external view the team brought to bear but also Sasha’s strong understanding of what is needed to deliver a custom-designed project like this for the unusual niche business that we are. 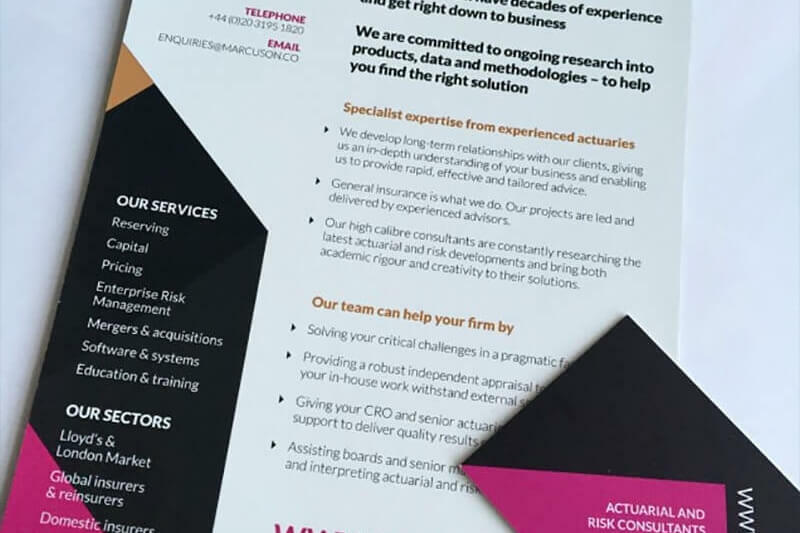 As a result, we have a new logo, web-site, brochure and marketing materials delivered on time and budget. Delighted!